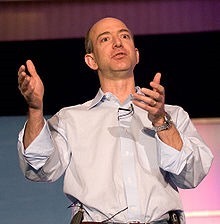 Amazon CEO Jeff Bezos ballyhooed text to speech in the Kindle 2 in 2009. Tipped off by a Gizmodo review noting the absence of an audio jack, I called the Kindle support people Thursday and learned that the Paperwhite models would be mute. Bummer. For years, I’ve complained of E Ink’s contrast problems, and the new models are said to offer 25 percent more contrast, not just glow with less eyestrain than LCDs. The news from Support jibes with a table comparing various models on the Amazon site (scroll down toward the bottom of this Amazon page). Notice? The table lists the Paperwhite models as lacking the speakers that high-end models offer. So, Jeff, what’s the strategy here, given the diminishment of the usefulness of the Paperwhite models for the people with dyslexia or other learning or vision challenges? Especially, how about students? Don’t you hope to crack the education market? Dumb move, this muting. Speech chips cost a pittance, so that excuse just will not fly. If you don’t want a speaker or there isn’t room for one, at least include a headphone jack. Just how could you be so out of touch with customers in this instance? I actually was hoping Amazon would go in the other direction and do TTS right with “Amy” and other refined voices from the whizzes at Ivona (or would pick up the equivalents from a similar company). In silencing the Paperwhites, was Amazon trying to extend the market life of the TTS-enabled Kindle Keyboard 3G and the DX? And nudge consumers toward the Fire models that can play digital audio books from Audible, part of the Bezos empire? Or cozy up to publishers or literary agents? A smarter move would be for Amazon to take a strong stand in favor of TTS while at the same time encouraging Audible to offer extras, such as author interviews, so that audiobooks still paid off. Anti-TTS strategies will actually reduce opportunities for writers. I want the print-impaired and joggers to be able to enjoy my books, and TTS make this more likely to happen. No matter what the explanation for The Great Muting, Jeff, I’d be grateful for your personal pledge that text to speech will be a feature of all future Kindles, including the basic models (apparently audio of any kind was also missing from the the bottom-of-the-line Kindle introduce last year, and is still AWOL from the $69 successor). At the very least, TTS needs to be in mainstream E Ink machines like the Paperwhite models. Of course, this is one more reason for librarians and others to support the Digital Public LIbrary of America, the ePub format, the battle against DRM and other efforts that would reduce our reliance on the proprietary technology. Look, Jeff, it isn’t as if I’m anti-Amazon—I applaud your people’s innovative ways and stellar customer service, and I’ve sent thousands of dollars in Seattle’s direction over the years despite my less than full satisfaction with Amazon’s labor practices. I am not calling for a boycott and, in fact, have ordered a Paperwhite 3G. But I do believe that librarians and others should use whatever clout they can summon up to remind you of your social obligations, especially when Amazon may earn millions in tax money from some major Kindle-related federal contracts. Even if the Kindles in those cases have TTS, it would be extremely bad karma to reduce options in that area for ordinary users. In so proudly demonstrating the Kindle 2?s TTS back in 2009, Jeff Bezos said: "Any book, blog, magazine, or personal document can be read aloud to you. If you’re in the kitchen cooking and want to be read to for a little while, or you’re on your commute to work and you want to be read to for a little while, Kindle can do that for you. Let’s listen…"
Yes, let’s listen. And, Jeff, you do the same. Unmute the Paperwhites! Ideally you could even give people with existing orders the choice of either accepting the silent Paperwhites or getting a slight discount on future models with the speech chips. And speaking of good ergonomics—for everyone, not just people with print impairments: I notice that Kobo’s Glo model lets people vary the boldness of the characters. When will Amazon finally heed me and build this feature in? When I owned TeleRead, I begged vendors to oblige. Nice to see Kobo acting, whether or not I was the inspiration. Great comment! And why the reduced on-board memory? Well done for taking this up with Amazon! This is a major omission (from their budget devices) and indicates a level of disinterest towards accessibility features. I work for a UK publisher and have been researching accessibility options for a while now. So far I would say correctly semantically coded EPUB3 files are good path to providing accessible content. >>>I notice that Kobo’s Glo model lets people vary the boldness of the characters. And designers *hate* features like that. They *hate* that people can override the publisher’s default design on the Nook Touch and other devices. As for no TTS, wow, that is staggering. I wonder if the Big Six and Authors Guild finally killed it? Now you’ll have to get narration with a *licensed* reading. I think the reason is a bit less conspirational and more prosaic. Though no less sad. Amazon prices their products competitively–they also *design* their products competitively. First, since B&N and Kobo don’t offer up audio or TTS support and Sony just dropped their audio, Amazon can drop it without competitive blowback. Second, TTS was costing Amazon money–the TTS used licensed tech from Nuance–and, apparently, the extra Audible-via-kindle sales were not enough to justify the cost of the audio in the reader and the licensing cost. Third, the cost structure of ebook readers and tablets is pointing ebook readers towards the dirt-cheap sub-$100 range. eink readers are evolving towards narrative-text recreational reading optimization instead of corporate or academic tool. The high-end ebook reader of today is the FireHD 9. Look past the fancy video and gaming and app gold-plating and what do you find? 220 dpi text rendering in color. A cpu that can handle KF8 easily and smoothly. A form factor and weight comparable to the Kindle DXG. At a price lower than the KFG or most other large format eink readers. Whie everybody has been waiting for a color eink solution suitable for cookbooks, travel books, pdfs and other fixed layout content, Amazon just went ahead and deliered it using LCDs. Yes, you sacrifice outdoor readability and battery life. But try to match Mirasol or Triton devices to the FireHD 9 solely as a reader. To me, the biggest takeaway from yesterday’s dog and pony show is what is hidden in the specsheets: Both FireHD sizes use 16×10 HD screens. You don’t do 16×10 for video. You do 16×10 for reading. And if you’re offering color ebook readers at $199, you need to get your B&W models noticeable lower. Which means cutting costs to the bone. Even if it means dropping a signature feature or two. Earlier, I said I suspected Amazon might do a smaller, cheaper PDA-class FIRE. Something to sell around $100. Well, the revamped original FIRE isn’t quite there. But in another year or so the FireHD 7 will be there. ebook readers don’t exist in a vacuum, they aren’t a closed off niche. They are just one tool in the Kindle ecosystem’s sales arsenal and sadly, audio is no longer a feature that Amazon can afford when the competition is selling front-lit audio-less readers at $129 and $139. Remember, the ad-free audio equipped Touch was selling at $149 just last month. Amazon added front-lighting *and* XGA resolution yet dropped the price $10. Judging by Kobo pricing, there is a $30 premium for both features–just how interesting would the Paperweight Kindle be even at $20 higher? Amazon is a competitive company and being competitive means leading the market sometimes and *following* the market sometimes. This is one case where the market is saying: audio doesn’t sell (enough) Kindles. That’s an assumption. Where have you seen the pixels specified by a trusted source? Amazon isn’t telling the number of pixels. I just did the math. If the 62% more pixels detail is true then the new Kindle has to have an XGA screen. It only makes sense insofar as that is what eInk sells — but why are they mum about it?! I thought it was obvious once Bezos quoted the pixel density: 212 dpi on a six incher = xga. The CNET hands on report confirmed it is xga. Could you contact me at andrys [at] panix dot com? Thanks. Whoa! Thanks for saving me some money! I was trying to think of who in my family I could give my Kindle Touch to so I get get a Paperwhite, but now I will wait to see if they add that back to later models. I wonder if this was a function of needing to make the thing as thin and light as possible? Also, they may have data that suggests it’s not used that often– or rather that not that many Kindle owners use it. I am a blind user of the Kindle Keyboard. For me TTS and Voice Guide aren’t just novelties but are necessities if I am to use the Kindle. I am continually disappointed at Amazon’s refusal to build accessibility into the newer Kindle models. Tim cook should write to Jeff Bezos to thank him for the extra business which is sure to come apple’s way as blind consumers, libraries and other institutions buy more and more Ipads. Apple not only builds accessibility into all of their products but they continually improve upon it with each new release along with the other enhancements they implement for sighted customers. Do you think you will be switching to an iPad Mini for reading then? How good is TTS on iOS devices for blind readers? Are all eBooks via the iBookstore available for TTS? And can TTS be used with third-party software like Nook, Kobo, etc? David, I’m disappointed in the lack of audio at all for the Paperwhite, but Amazon has confirmed that both Kindle Fire HDs will have Text to Speech. The allure of the Paperwhite vs the older keyboard model (being kept) is visual (with added front-lighting), and the touch mechanism is based on visual cues. They’ve kept the Kindle Keyboard model and advertise it and that has text to speech on books (where publisher/author allow, personal documents, and on the menu guides). They are pricing the new e-reader competitively, against e-readers that don’t have audio and I’ve read that Amazon’s margins are about 2% overall (they put a lot from lower-cost offerings back into development) while Apple’s are 22% and rising. I’d go with Apple too whenever they have tts and when Amazon doesn’t if I needed it. I prefer having tts, on principle, but in all the time I’ve had the Kindle Keyboard and KTouch, I’ve it once. I used to use it more on the Kindle 2. I don’t know why I stopped, but it could be that stats show them this is true for many Kindle owners and it was a way of lowering costs to produce something ‘more’ than e-reader competition is offering, while pricing it lower than the devices from competitors. Like many others, I will surely miss audio features when I purchase the new Paperwhite kindle. But we all have several devices to replace the audio from our ereader. Is our smartphone ever that far away from us? The ratio of ebooks to audio books being read is staggering and Amazon customers still have several options for the audio enabled devices. I am keeping the KK3 3G with audio but doubt I will return to it much when I start reading on the new Paperwhite. Why does something tell me that Amazon already knew that? FJ: I agree that economics would count. But I can’t believe that audio isn’t worth the effort–especially when Amazon is talking up the Audible kind in the Fires. If Amazon wants to compete, the real solution would be better audio–for example, Ivona’s incredible offerings, which will win TTS many new fans. Google up the company’s site and try my favorite, the Amy voice. Matt and Daven: Yes, yes! The mere 2G is a disgrace. Guess Jeff wants us more reliant on his cloud. It’s the same mindset evinced in his avoidance of TTS in the Paperwhites to (most likely) promote higher-end models. Mike: First rule of good design is functionality. Of course, that’s the one designers most like to break. Props to Kobo for caring more about people than about designers. Oh, I’m all in favor of readers being able to override defaults, in case that wasn’t clear. I’m familiar with Ivona. Amy is about as good as the AT&T Audrey. Maybe a bit better depending on taste. Besides Kindle, which eink display ereaders offer TTS? Pocketbook. But only for DRM-free. Personally, I’m not bothered by the lack of TTS. The couple times I tried it on my KTouch I couldn’t stand it for more than about 2 minutes. I guess audiobooks have spoiled me. I understand people’s unhappiness over the loss of TTS and the smaller memory size, but neither bother me at all. I’ve never used audio on any of my Kindles, either TTS or to listen to an audiobook, and over time, I’ve evolved to a modeled of leaving most of my books in the cloud. When I finish a book, I move it back to the cloud, and when I buy a book, unless it’s a book I plan on reading pretty soon, I put it in the cloud. I have 3g on my Kindles, so the cloud is always there. Hey, all you people smugly braying that lack of TTS doesn’t bother you, go blindfold yourselves for a day and “see” what it’s like for blind people. I know of blind people who have relied on the Kindle TTS for reading. It’s also useful for dyslexics. No text to speech is a deal breaker. I was a big fan of Kindles. Now I will have to look more at Android devices like Nexus. This really ticks me off Bezos!!!! I already sold one of my kindle fires to get the next generation but looks like I need to wait and see if better CUSTOMER DRIVEN OPTIONS are available this year! You mentioned the Nexus as something you’ll consider instead of an Amazon Paperwhite. The Kindle Fire HDs are the Android tablets competing against the Nexus and they’ve been confirmed to have Text-toSpeech. I love TTS and use it when I’m at work. I’m definitely sad to see it go. If I get a Paper White, I’ll still keep my k3. But for blind readers, it seems like it would be less useful on the Paper White, with its lack of a constant and tangible interface. It is only a matter of time before the TTS feature is integrated into the Kindle Android app. The reader can buy whatever freaking voices they like from the app store, in whatever freaking languages they like, and the Kindle app will read using that voice. You can do that now with a number of other reading apps, so why not the Kindle app? – if more request they will get, then there is more chance that they will fix it! Why isn’t there all this uproar about the publishers that didn’t allow TTS in the first place? Is TTS available for every book in the iBookstore? If so, why didn’t the Author’s Guild go after Apple the same way they went after Amazon? They didn’t protest iBooks because the Author’s Guild is the lackey of the major publishers, 5 of whom had just conspired with Apple to bring about Agency pricing. Please let me to clear up. By audio “return” to Kindle Paperwhite I mean this book reader is next revision of Kindle Touch which was with audio feature. but I expect something more with this device class. According to Kindle price I think its very fair – Amazon selling it without profits to herself. Today device should be universal, one for milions of people with different feature preferences. 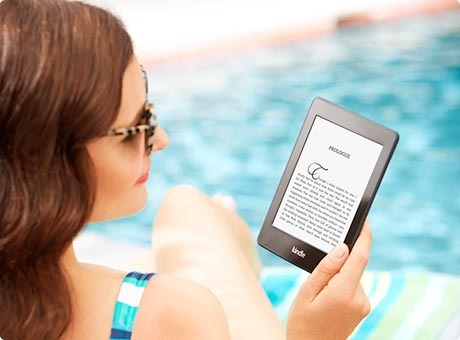 Kindle devices have many features… social networks, dictionaries, parental controls, highlights, screen rotation, internet browser, wikipedia, searching, collections, font size, font type, games, clock, 4GB memory, lighted screen or audio. I know, modification like this need hardware and software change and this will take some time. By writing this feedback I want to send message to Amazon to known them with customer needs to next version of Kindle Paperwhite. I not want to spam you, I only want to say my opinion as customer of Amazon – I think I have right to that. I can write about it more my thoughts but please write also yourself fellings what you expect to your ideal Kindle device. Personally I write about Audio because I’m not native english and reading books with TTS support will improve my speaking abilities. I think audio is essential. It’s a pleasure to have a choice between reading, or maybe, at least on occasion, listening to an Audible book, or sometimes playing text to speech. Finally, it would not be bad to have the mp3 capacity also, though I wish Amazon provided an expansion chip. Anyway, all told, I think the Kindle Touch with the four gigabytes of memory, and audio capacity (the ability to use Audible books) is preferable — at least for me — to the Paperwhite model. How disappointing, 2 steps forward, and at a minimum, 2 steps back. Therefore, Amazon ought to bring the Kindle Touch back.!!!! Yes, the keyboard models have audio, but some people prefer touch and audio. My wife opened her new Kindle paper-white 3G model on Xmas morning, not finding an audio outlet socket for headphones, promptly handed it back to me saying she will not use this unit and is quite happy to keep her older model with the keyboard. Wish I had researched further into the paper-white’s capabilities before purchasing. I agree wholeheartedly with this article. I was very sad to hear that the Paperwhite has no tts capability. I will keep buying epub books that I can listen to with the excellent reader on my Android phone (no tts with Kindle for Android either of course) and maybe pick up a cheap used Touch or Keyboard. Definitely will not buy the Kindlewhite technology until it comes with tts. I used push to talk all the time, in traffic, while cooking, cleaning, crafting. Without push to talk I do not get a chance to “read” anymore. You cannot read while driving. You cannot read with your hands in soapy water. You wounded me amazon. No more kindles until I can get what I used to have back. Thank you for the past years of enjoyment. I is also irritating that you have no push to talk on devices with kindle app. I am pretty sad about the whole ordeal. …and they STILL haven’t listened. No audio on Oasis or Voyage. Shame on you, Amazon. You’re pushing people to get “kindle unlimited” which includes audio books, but if you’ve got a Paperwhite, Oasis or Voyage that feature isn’t even usable!